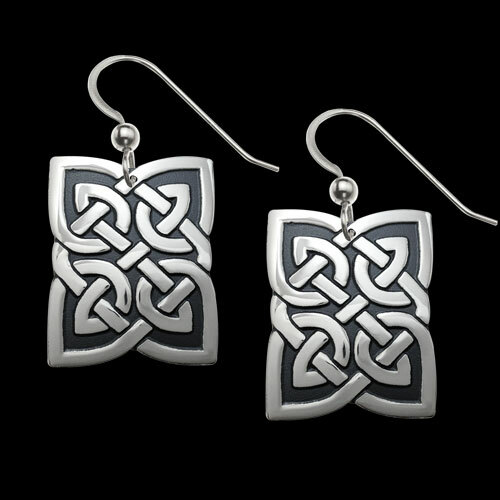 Sterling Silver Celtic Wisdom Earrings by Metal Arts Group. It is believed in Celtic tradition that life is an endless cycle. No matter what happens, there will always be a new opportunities and new beginnings. 0.8 x 0.6 inch Sterling Silver Celtic Wisdom Earrings by Jody Bergsma. Made in USA.